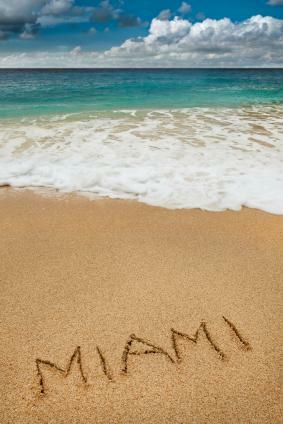 Miami sizzles with its myriad theme parks that offer red hot fun for residents and visitors alike. The southern Florida metropolis is home to a number of smaller amusement parks which include everything from jungle animals and marine life to Santa Claus and wet and wild thrill rides. Everglades Habitat & Walk: Explore jungle living at its best. The habitat is a true replica of the Florida Everglades, and even includes daily alligator feedings. Lorikeet Aviary: Get up close and personal with a variety of bird species from rainbow colored parrots to Ornates in an open air aviary. Time your visit right and you will get a chance to feed the feathered friends. Manu Encounter: Designed to replicate the clay cliffs in Manu, Peru, the interactive exhibit is filled with rambunctious squirrel monkeys, free-flying macaws, as well as other exotic animals. Jungle Island also boasts a kid-friendly private beach called La Playa. The stretch of sandy paradise overlooks downtown Miami and Biscayne Bay and allows parents to relax with a tropical drink while the kids play on inflatable water slides or romp in a bounce house. In addition to the displays and live entertainment, Santa's Enchanted Forest also boasts dozens of carnival rides suited for the entire family. Younger kids will enjoy the pony rides and petting zoo while teens and parents can get their thrills on the bungee jump, bumper cars, Avalanche rollercoaster and the Mega Drop. This 38-acre tropical paradise is far from a SeaWorld knock-off. Instead, the Miami Seaquarium is in a league of its own with dolphins that walk on water and killer whales that dance in mid-air. The world-class marine-life entertainment park makes learning fun with its live animal shows, hands-on exhibits and interactive presentations. Golden Dome Sea Lion Show: Watch as Salty the Sea Lion and his pals show off their comedic abilities. Flipper Dolphin Show: The TV superstar and his Atlantic bottlenose dolphin friends perform for the crowds by jumping, spinning, and walking on water during a lively show with choreographed music. Shark Presentation: Get up close to 200-pound sharks while their care takers feed them during an action-packed presentation that will leave you hungry for more. Main Reef Aquarium: The 750,000-gallon saltwater aquarium is teeming with an assortment of colorful tropical fish of all shapes and sizes. Don't miss the daily feedings followed by a presentation about loggerhead turtles and moray eels. Miami Seaquarium also houses sea turtles, birds, and other wildlife in a natural mangrove forest environment. Open every day of the year, the theme park also boasts a kiddie playground and a lagoon where guests can race remote controlled boats. Pirate's Plunge: This water play area features super fast slides and a zero entry splash pool that's equipped with hanging buckets that dump water on guests in 10-minute intervals. Captain's Lagoon: The massive pool is designed for the entire family to lounge and swim in without worrying about crashing waves or large tubes. Shipwreck Island: Created specifically for toddlers, this kiddie play area is filled with shallow water and a host of interactive toys. Buccaneer River Ride: This lazy river allows you to go with the flow while riding on brightly colored inflatable tubes. Hours and admission prices are subject to change at the individual theme parks' discretion. Consequently, it is a good idea to call ahead to make sure you have the correct information prior to visiting the aforementioned theme parks. Also, keep in mind that Miami's weather is temperamental at times, so it's wise to prepare for the worst despite forecast predictions. In many cases, outdoor theme parks may temporarily close when thunder and lightning are imminent.